DIRECTV heard you and now new customers can get NFL SUNDAY TICKET for your Bar or Restaurant with a Fire Code Occupancy (FCO) of 50 or less and 4 receivers or less for just $139.80/mo on the 5-Pay Option. Every Sports Bar has NFL SUNDAY TICKET, but the small bar was typically left out of the fun and the profits because of the perceived high price. If you owned a bar with one to four TVs, it was hard to justify spending an additional dollars on NFL SUNDAY TICKET. Now you can provide your customers with the sports they want to watch at a price that provides a great ROI for you. DIRECTV wants you to know exactly how much money you can expect to make when you add NFL SUNDAY TICKET to your menu. Click on the link below and enter your average ticket and margins and the Profit Calculator will tell you how much you can expect to add to your bottom line by adding NFL SUNDAY TICKET. 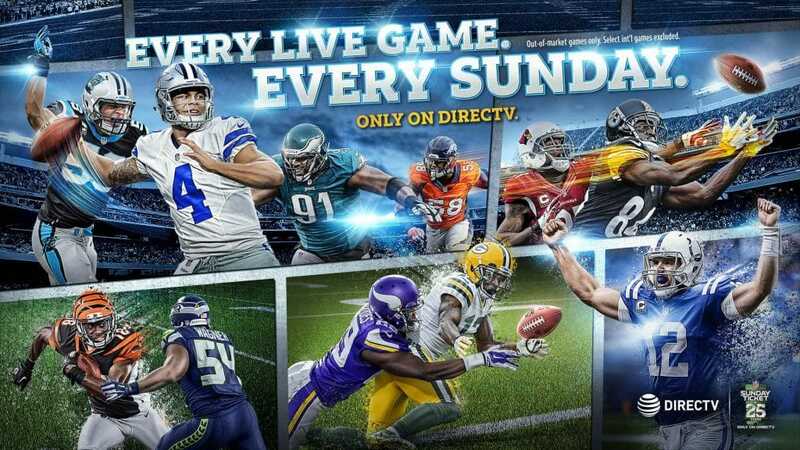 The goal for DIRECTV is to help your bar or restaurant make more money when you feature NFL SUNDAY TICKET and the unrivaled amount of sports on DIRECTV on your TVs. To help you make that a reality, DIRECTV created the MVP Marketing Program. As part of the MVP Marketing Program, you receive FREE promotional kits for NFL SUNDAY TICKET, MLB Extra Innings and other major packages. Those packages include Banners, Posters, Window Clings, Coasters, and many other items depending on the sports package. In addition, for subscribing to DIRECTV for BUSINESS (, DIRECTV will give you additional credits to purchase customized marketing materials you will receive 200 credits and for each sports package you subscribe to, DIRECTV will give you additional credits to purchase customized marketing materials.